I realize that in certain foodie circles, this is akin to admitting I'm a Holocaust denier, but I don't like the doughnuts at Misery Loves Company. My greatest desire for a yeasted dough is that it be light and airy. At Misery, the legendary doughnuts are heavy and cloaked in grease. 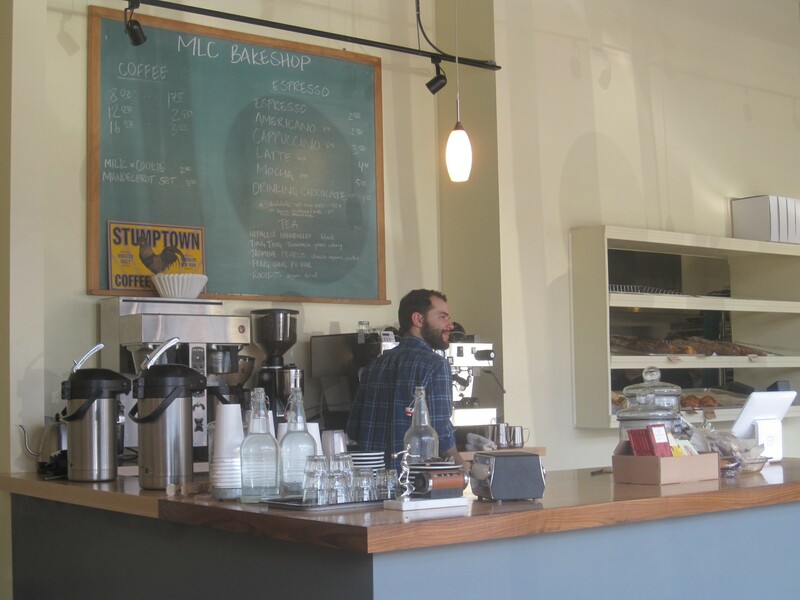 It was with reservations, then, that I visited MLC Bakeshop in Winooski for the first time. I left wondering what the hell I'd been waiting for. For less than $30, I enjoyed a gustatory trip through a cerebral Candy Land. I gorged, and it was good. Hot drink season may finally be on the wane, but I was glad that my dining partner insisted on ordering a cup of drinking chocolate. 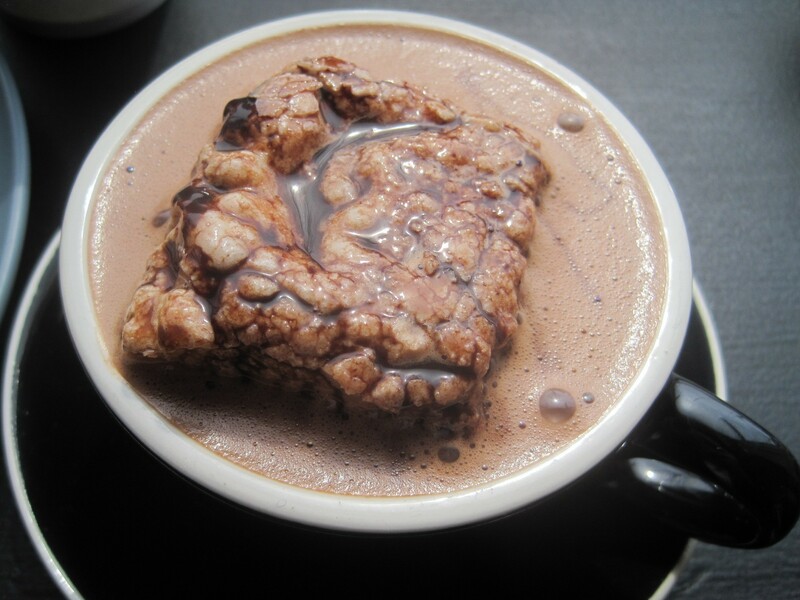 Made with intense Mast Brothers dark chocolate, the thick, creamy drink was more grown-up than your average warming cup. But the stroke of genius was the fluffy homemade marshmallow. Too often, house marshmallows come out heavy and hard with gelatin. The one at MLC was fluffier than one from a package and lacking that telltale chemical taste. Its sweetness melted with the dark chocolate for a spot-on bittersweet balance. 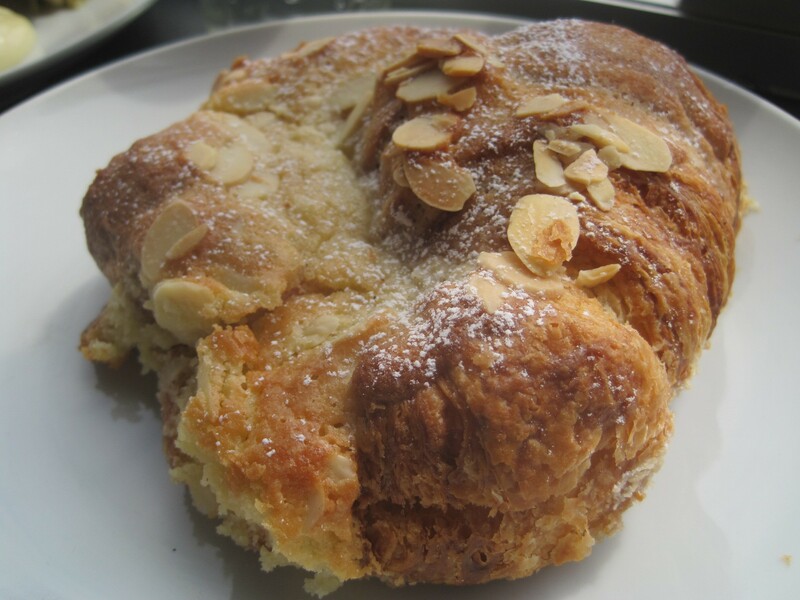 Though not a by-the-book laminated dough, the soft-inside, crisp-outside almond croissant hit enough of the right buttery, flakey spots to satisfy me. My above-average appetite for marzipan was easily fulfilled with the almond-paste-filled pastry. Even though there was more work ahead, my dining partner and I couldn't help but finish it. After all, it was 1 p.m. and we hadn't had lunch yet. Luckily, a selection of flatbreads and other creative eats were waiting on the counter. I liked the crisp, char-spotted crust on my slice of flatbread. But its highlight was intensely gingery, housemade kimchi. The egg was cooked over-hard, a disadvantage of being prepared with the counter as its destination. Prepared to-order, with a runny egg, the pie would have been unspeakably enticing. Perhaps it's better for us all that there's no MLC pizzeria — yet. Since Ren Weiner, former chef at ¡Duino! (Duende), starts crafting her original pastries at 4 a.m., it didn't occur to me that she'd have time to brandish her savory skills, too. But on Sunday, Weiner managed to make the most perfectly balanced, addictive rillettes I've ever tasted. What is often one note of heavy fat was far more complex in her hands. Popping whole grains of mustard and a touch of horseradish added tangy character, while parsley gave the spread a fresh, garden taste. 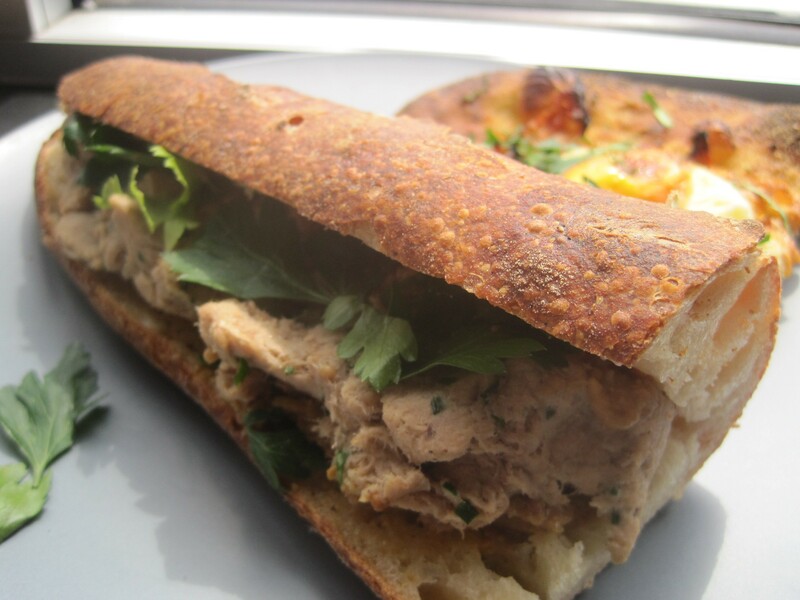 The thick helping of meat oozed out of the crisp baguette, but I was not deterred. I ate the pork by the chunk. 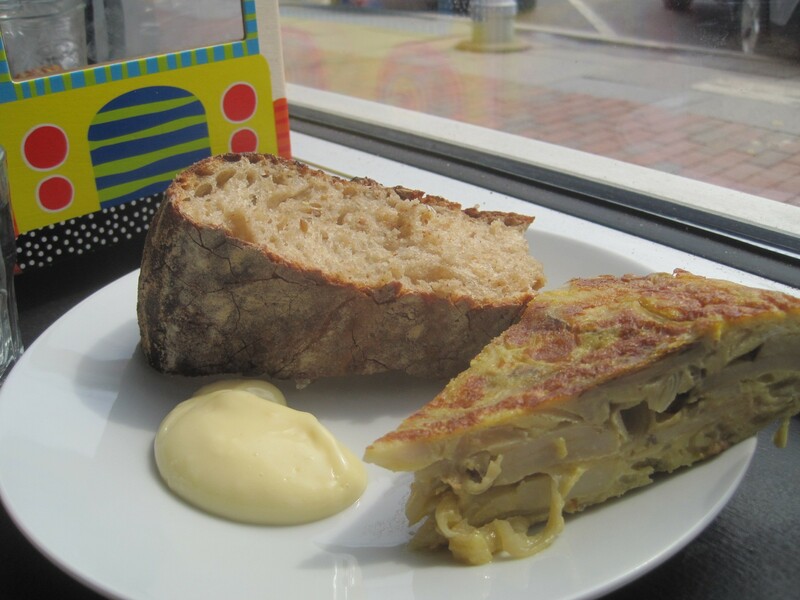 The least notable savory dish was the tortilla Española. A little too reliant on potato and onion and not enough on egg, I found it a bit too starchy. The aioli on the side helped with a garlicky zip. But the star on that plate was a slice of simple levain. Or rather, deceptively simple. The long-fermented dough is made using spent grains from Four Quarters Brewing a few blocks away. Though the taste didn't remind me of beer, the bread's caramel color did. But even without that quirk, the crusty outside and chewy, fluffy inside make the loaf the best new bread in Chittenden County. Full to the brim, we left MLC with a few treats to take home. A chocolate tart was host to one of the smoothest, creamiest ganaches I've ever tasted. A smattering of salt on top made it even better. Weiner had advised me to eat it while wearing pajamas, but it was so good, I didn't require the wardrobe change. My Samoa-loving other half lost his mind over the extra-large, homemade version of the Girl Scout cookie. The surprisingly fluffy coconut-and-chocolate cookie is sure to become part of his regular rotation. 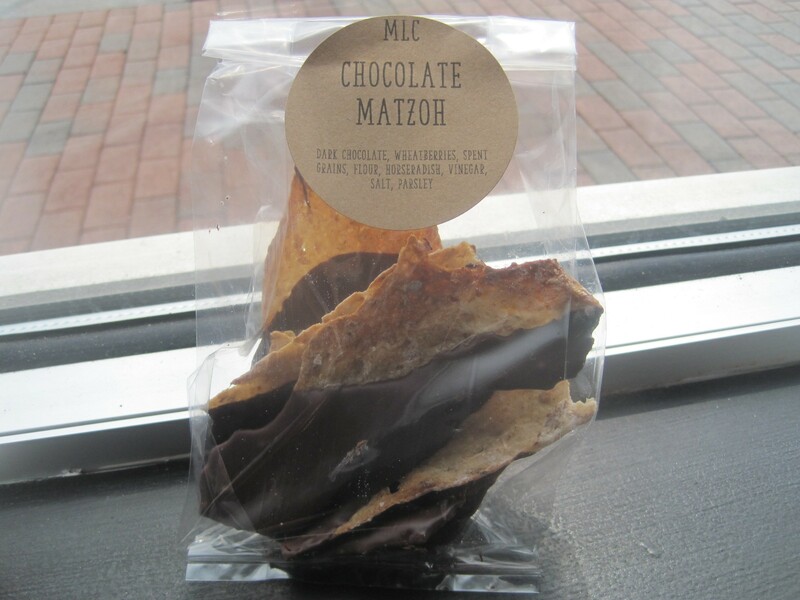 It's too bad Weiner's chocolate matzoh is only a holiday treat. Still a New York Jew at heart, she did a far better job remembering Passover than I did. But thanks to her well-seasoned, crisp matzoh, I was able to (kind of) celebrate the holiday with crispy, spent grain crackers and sophisticated dark chocolate. Would it be too on-the-nose to call it a religious experience?